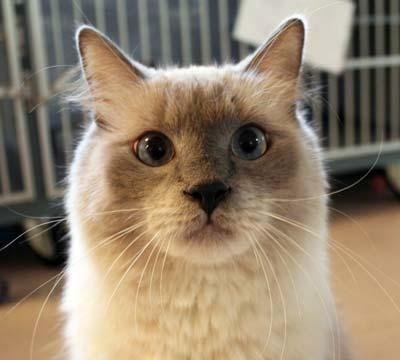 Pacific Siamese Rescue has a network of volunteers throughout Northern California. Pacific Siamese Rescue (PSR) has some of the nicest people you will ever meet and we all share a common goal as well as our love for the Siamese Cat! We have many needs to keep our organization running and growing, so please fill out a volunteer application and we will arrange a telephone interview as soon as possible so that we can utilize your skills, talents and interests so that you can help us help as many meezers find homes as possible. Fosters are charged with both attending to the medical and emotional needs of each cat, as well as with identifying the cats' behavior traits and characteristics, in order that we may ensure a match between applicant and cat that results in both happy cat and happy adopter. Fosters work down the list of inquiries in order of date of (approved) inquiry, working with both the applicant and the interviewer to determine if the cat is a good match. Intake Evaluators are charged with collecting information on feline candidates for our program. They visit the cats in need prior to entry to our program to gather information on looks, behavior and medical status. We are not able to help all the cats we are notified about, and we are not a hospice organization designed for long term care of the cats; we are a placement agency working to select cats that are suitable for placement in our applicants' homes. Cats must meet base qualifications in looks, behaivor and medical status; approval is done by a Review Committee and is based not only on the cat itself, but also on the resources available at the time of need (foster space for example). Because we stand behind every cat that enters our program for the duration of the cat's life, always available to help it in the future if the need arises, we work to choose our program candidates wisely. Interviewers are charged with gathering and documenting this information. 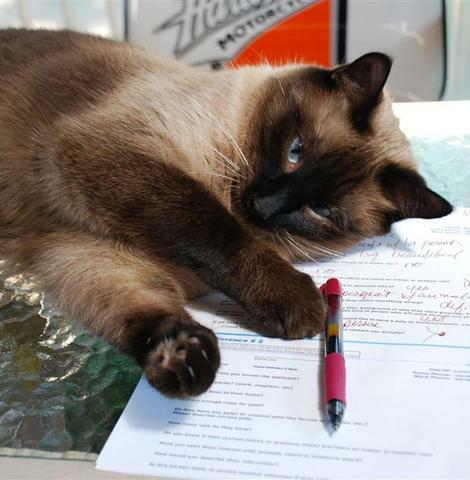 Once approved, their interviewer acts as the applicant's agent, working to help matchmake the right cat to the right household by helping the applicant navigate the process, making suggestions for cats that might be a good match, and ensuring that the applicant's concerns and questions are addressed. Your contributions, no matter how large or small, will always be greatly appreciated at PSR make a difference! to access the Volunteer Application Form.